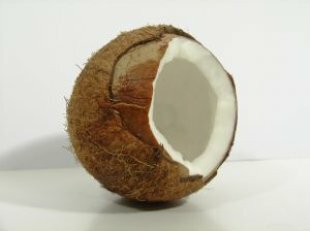 After receiving a bad reputation at the start of the low-fat, no-fat diet craze, coconut oil is now making a stellar comeback as a super-food and a super alternative to many of the bad oils found in our pantries today. While coconut oil does have a high saturated fat count by traditional standards this does not make it bad for you for one very important reason. It’s a totally different fat molecule than other saturated fats. I won’t bore you with all of the details because it’s a rather lengthy explanation, but you can read more about it here. Now that we’ve talked about why coconut oil is not bad for you, let’s talk about what makes it so good for you. Research, experts and those who regularly consume coconut oil have listed the following as some of the many benefits of cooking with coconut oil. Coconut oil is also known to be anti-fungal, anti-bacterial and anti-viral. It stores well and will remain solid below 74-76 degrees, but buyer beware. Not all coconut oils are created equal. When purchasing coconut oil you should look for the words “unrefined” on the label. Some brands may be heated and treated before packaging, which can impact the health benefits of the oil. As the popularity of coconut oil continues to grow it is more readily available. I generally purchase mine from Tropical Traditions, but you can also find it at Whole Foods, Kroger, and Publix. If you’d like to learn more about the health benefits of coconut oil, I highly recommend the book Virgin Coconut Oil – How it has changed people’s lives and how it can change yours. Tip: If you’re not a fan of the taste or smell of coconut you’ll be happy to learn that expeller pressed coconut oil is simply coconut oil that has been steam deodorized to remove the taste and smell. I keep a jar of the expeller pressed in my kitchen for cooking and a jar of the virgin coconut oil in my vanity to use as a moisturizer. Recipe: I’m a big fan of vegetable tempura, but I rarely eat it because it’s fried and not very good for me. Here’s a healthy version you can make at home using coconut oil. Choose large, crisp vegetables like broccoli, carrot chips, and asparagus. Dip them in egg then roll them in coconut flour until completely covered. Cook in a large skillet with 3-4 tablespoons of coconut oil until the flour turns golden brown. Healthy, delicious and nutritious. Coconut vegetable tempura goes great with grilled shrimp! How do you get your daily does of coconut oil? I am really excited to learn about coconut oil, thanks for the article. As far as the external benefits (like wrinkles, hair, etc. ) does internal consumption produce these benefits as well or only external use? It is also a good oil to use if you are trying to watch cholesterol levels.